This module creates and updates the prestashop language files, resulting in fast page loads and consistant and editable translations. It does not translate your site for each user "on the fly." You can edit each language and correct mistakes, and you can have different content for each language. You can decide what to translate and what to leave in the original language. It helps your SEO; you will have a new URL for each page, which can get indexed and match more keywords. It's the easiest way to make your site accessible to foreign markets. 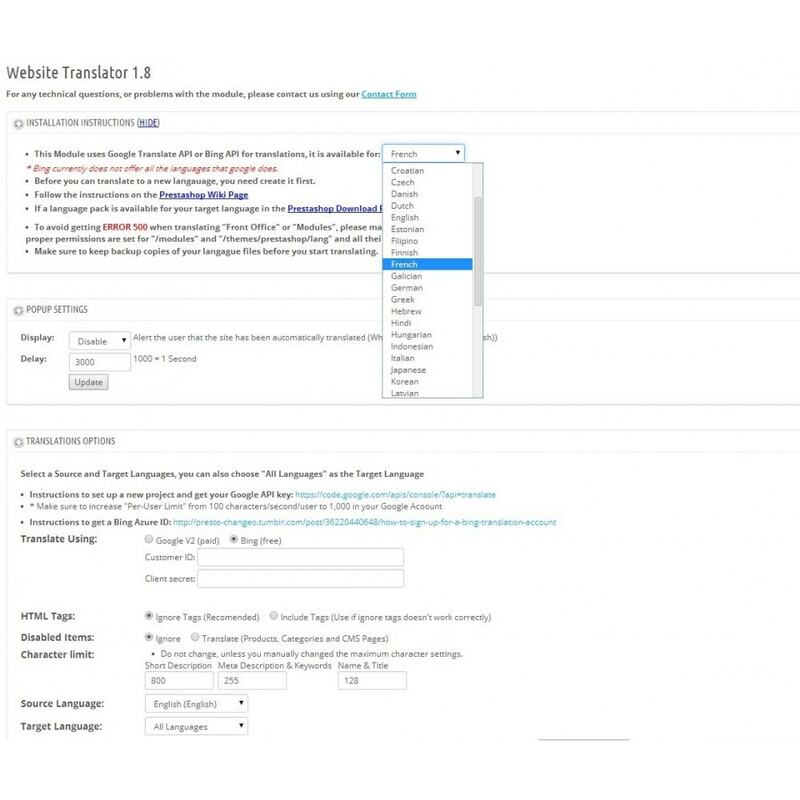 It lets you automatically translate your website to more than 50 languages! Choose to translate using Google Translate V2 (paid) or using Bing Translate (free). Display any or all text in your website to the language of your visitors to make their shopping experience easier and more natural.